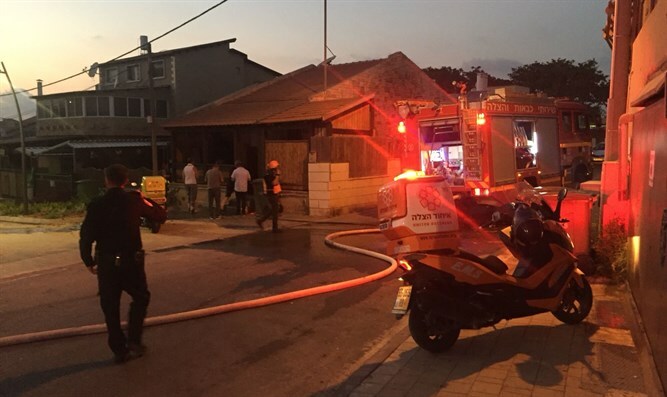 Magen David Adom Paramedic and Medi-Cycle Rider Alex Shemis said: "The MDA 101 Center received numerous reports from various scenes in the city. I was dispatched on my Medi-Cycle to the scene where there was a report of an injured. When I arrived on the scene I saw a 34 year old, conscious, with a number of bleeding wounds. Together with additional MDA teams, we provided him with medical treatment and he was evacuated in light to moderate condition to hospital. From there I drove to another scene where a 20 year old was injured in light condition. He was treated and evacuated by Intensive Care Ambulance to hospital. A number of people, including 2 pregnant women who started having contractions, suffering from stress symptoms were checked and treated at the scene by MDA teams and evacuated to hospital for further treatment."